I played Grace. And I had a blast. I know you are laughing to yourself because after all, it was just a little church production with the children’s choir. Nothing to really put my acting chops to work. But that compliment meant the world to me, because if given the chance at any other career in the world, Broadway is where I’d be found. When I was in high school, drama was my thing. Our school drama department was very small and only did one large production a year, but I put my soul into it. I loved everything about it. You know how there are those people who hang on to their high school achievements, even 20 years later? Remember Uncle Rico from Napoleon Dynamite? He still lived in the moment from the 80s when he was on the high school football team. My senior year in high school I won best actress in our regional One-Act play competition. Call it a small accomplishment, but it’s something I’m still seriously proud of. 🙂 I played a 300 lb Irish nun that year. I stuffed my nun’s habit full of towels and small pillows and threw myself into the role (literally- I had to dive across the stage and fall off of chairs in that production), finally able to put my ability for accents to good use. I went to college on a theater scholarship with every intention of becoming a drama teacher-slash-Broadway star. But although I loved performing, circumstances (and God) pushed me in a different direction and I became a history teacher; something I’m equally as passionate about. And now I find passion in being Mommy and Writer. My friend Katie Ganshert recently wrote a post about choices and how they affect the direction of our lives. While I would never, ever give up my family, home, and life, if I had an alternate universe in which I could function, I would definitely pursue a life of performing on the stage. Share with Me: Is there a career or job you wish you’d had the opportunity to pursue? Maybe one that might surprise the people who know you best? Forensic or criminal psychologist. I didn't realize my interest in this subject until many years after college, and I don't know if I could stomach the nitty gritty, but I'm fascinated by criminals and how their minds work. Jennifer, I LOVE Criminal Minds. Right up my alley. I like Law and Order:SVU as well, but I CM is my favorite, along with Bones. (I LOVE Criminal Minds, too. It's awesome. But creepy. )In another life, I'd have been a zookeeper, I think. I love animals as much as I love books, but it was the realization that I couldn't handle putting animals to sleep that made me give up on the becoming-a-vet idea. Now, I still think it would be fun to work with animals, but I think I'd prefer working with zoo animals instead of vaccinating family pets. Alternatively, I'd like to run a therapeutic horseback riding facility for people with special needs. (I'd still like to do this on a volunteer basis one day; there are several such facilities in the area. )I think you'd be a great Elphaba, Jenny. 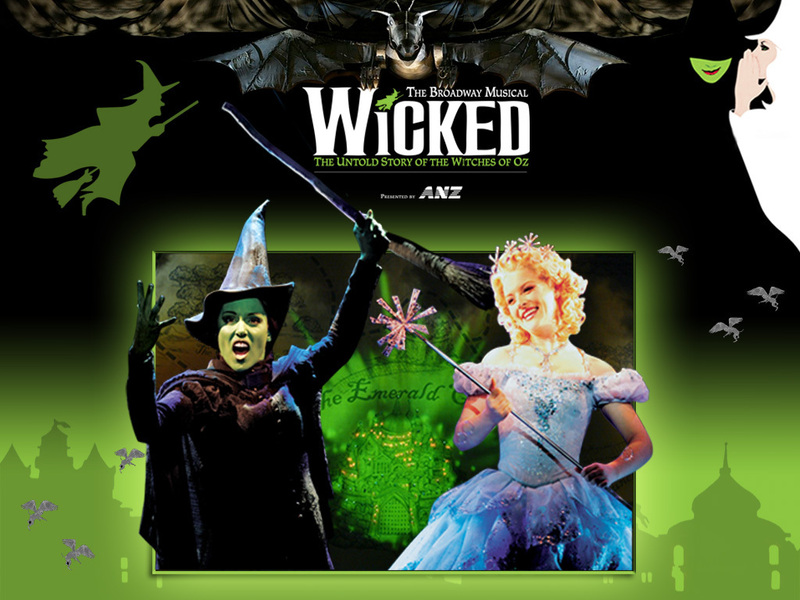 Have I ever told you about when I saw Wicked on Broadway with the original cast? I still get chills thinking about it. L.J.- Sounds like you are right where you are meant to be. And all that criminology knowledge must make watching Criminal Minds super boring for you. :)Happy- that would be a seriously fun job. Thanks for the comments!